Cyril is a Russian fantasy illustrator with an Asian influenced painting style. 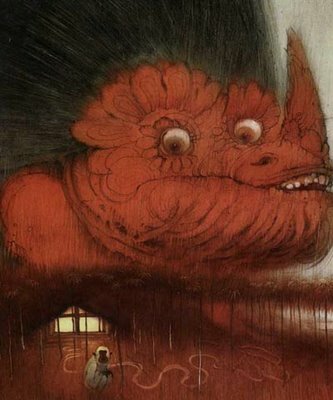 The artwork made for the "Japanese Fairy Tales" is incredible. You'll find more examples from this book here. Each line of text on the right will take you to a different image. More links to his art and an interview can be found here. A few more pictures and what appears to be an article if translated into english can be found here.